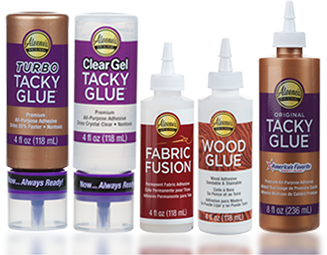 Aleene’s Original Glues - I need a water-resistant glue: what should I use? I need a water-resistant glue: what should I use? Glues that are solvent-based (as opposed to water based) are going to be your best bet. Industrial strength/maximum strength glues that are formulated to be weatherproof are good options. Aleene’s Super Gel Adhesive is an ultra-strong adhesive that’s water and UV resistant, making it a great choice when looking for a water-resistant glue. Aleene's 7800 Adhesive is another good waterproof glue option.